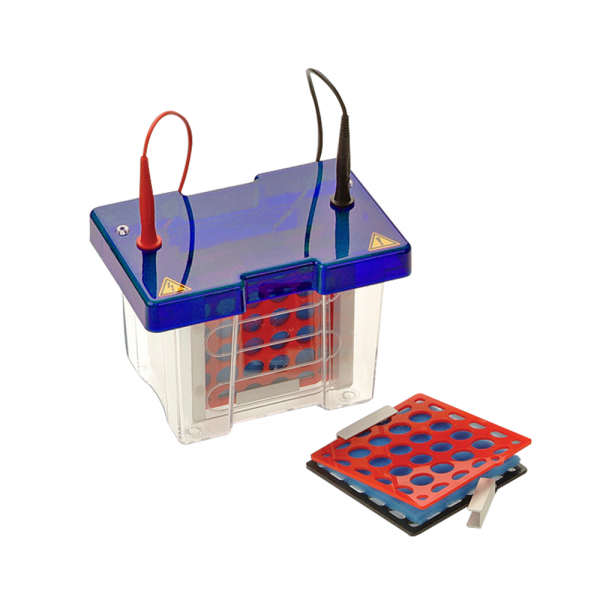 SymphonyBLOT Mini Blotting System comprises both modules required for Slab Gel Electrophoresis and Blotting as well as accessories. 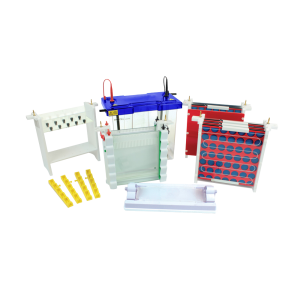 The system offers a complete mini gel casting (10 x 10 cm), running and blotting system. Included in the blotting module are three interlocking cassettes and six fibre pads. The system uses coiled platinum electrodes to generate high intensity current and in conjunction with advanced cooling features, this allows rapid blotting in only 1-2 hours. By using the same universal base and lid, higher consistency can be achieved, as well as economical value. 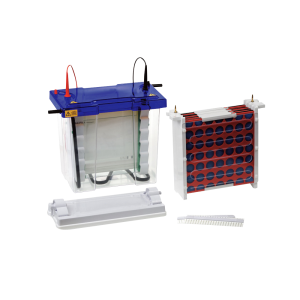 The complete stand-alone unit EB-BS-VSPMINI for 10 x 10 cm electroblotting format, consists of SymphonyPAGE Mini tank and lid, blotting module, cassettes and fibre pads. Modules are interchangeable with SymphonyPAGE slab gel module. The hinged rigid cassettes allow rapid and simple setup to ensure even contact between the gel and membrane is maintained. Dual-purpose PAGE module saves time by eliminating transfer of glass plates between separate casting and running. plate misalignment to ensure leak-proof casting.